The 5K Puff sets a new benchmark for incredible flavors and other-worldly frost by using a combination that includes three of the most resinous parents in our library. 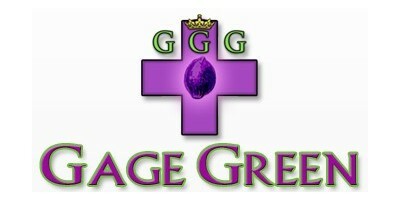 In order to create All Blues Gage Green Genetics has mixed Absolute Blueberry with Joseph. The resulting breed is certainly a hash maker’s paradise, her resin is super sticky and packed with flavour. 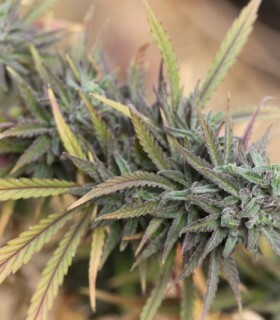 Aloha Grape Stomper is another special cannabis strain from Gage Green Genetics that will provide more of that constant sugar and grape fuel. After finding a resinous male that was made for the Grape Stomper, Gage Green had to backcross it to the Grape Stomper. Ascension by Gage Green Seeds is a cross of a Breakout and Grape Puff, both of them are coming from outdoor and completely probiotic garden. Elevate your thoughts with a mind full of our library's finest OG flavors. Feel the gaseous terpenes expand and enter our vercy core. Aspirare means to breathe in Latin. Take a moment to expand your lungs and be filled with healing energies. Baby Breath is a perfect combination of soothing cannabinoids and terpenoids which are perfect for meditation and relaxing the mind. Fill your life with blessings and joy with our latest hybrid intended to enhance your appreciation for a complex fruity Kush combination that will enhance your medicating experience. Fire up your gardens with this refined mix of the world's most sought after medicinal genetics. Our desire was to create a haze-based strain line that blends the yield and appeal of the Super Blue Dream with the potency of the Inferno Haze. A brand new diesel is here. An instant favorite amongst patients, the Breakout offers a selection of authentic diesel fuel aromas selections mixed with a waft of blueberry pie. The Bastards Series offers a peak into the endless possibilities of open pollination. 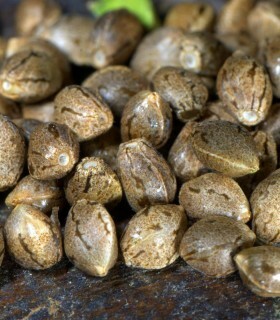 These packs contain seeds from several studs (male plants) and one mother. The charity of selfless growers around the world has allowed fine heirloom genetics like the Ocean Beach OG to reach the public. Once held tightly by a close group of growers, this cut finally has the opportunity to have its potentials explored. "The Bastards Series is a unique assortment of exotic genetics and infinite possibilities for the phenotype explorer. Known for providing untold opportunities, our garden presents new creations at every corner. The Bastards Series is a unique assortment of exotic genetics and infinite possibilities for the phenotype explorer. Known for providing untold opportunities, our garden presents new creations at every corner. The Cornerstone exemplifies the finest traits of our beloved diesels. Our commitment to the pushing the limits of cannabis has led us to deliver a potent, mind-lifting diesel that packs the flavor and delivers a new outlook on cannabis. 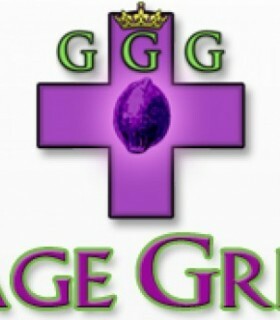 Gage Green Group has bred with Chemdawg x OG for years now. Chemdawg D and OG Kush have been patient favorites for their unique flavor, famous aesthetics, and desired potency. Finally, these tremendous genetics are being made available to the world with the development of the Daybreaker. Flight 813 was bred for each parent's potency and flavor. The exotic flavors and look come from Mandala's Eight Miles High parent which was bred from landrace seeds discovered in Africa and India. The Harlequin cut has been circulating the medical cannabis scene for quite a while now. One of the first strains that produced high concentrations of CBD aka Cannabidiol, a cannabinoid produced in cannabis that has been found to treat numerous medicinal conditions ranging from inflammation to nausea to inhibition of cancer cell growth. iant Steps genetically is composed by Salvador, a Trainwreck crossed to the Purple Snowman, which had pink trichomes and snelled like sour apple and cherry blossoms combined with the exotic fruit smells from the Mendo Montage 4 Star male. This super resinous flower is a sativa dominant cross between Joseph and the clone-only Golden Goat. 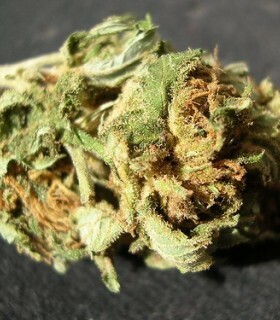 This brightening herb will keep you lifted and conscious with creative thoughts. Discover a world of diamonds with the Grape Puff, another glistening reinvention of the Grape Stomper genetics that will surely impress and effectively medicate. Originally created by Gage Green Seeds, it was a hybrid of JojoRizo's (RIP) Purple Elephant, a Purple Urkel Hashplant, and Elite Seeds Chemdog Sour Diesel, which is often said to actually be a Headband x Sour Diesel hybrid and contains no Chemdawg in it. Healing Fields' mother, Cindy La Pew from Gage Green is a pineapple skunk that makes you feel light as a feather. To create High Flyer Gage Green has been combined Lemon Thai with Freedom Baby. When the full range develops, this cross expands the mind and body with bliss. Experience the best that the world has to offer. 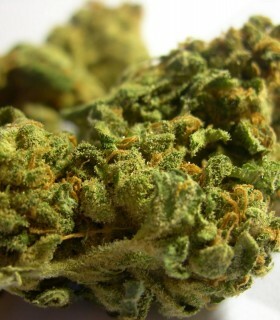 True fuel from the Joseph OG's legendary lineage meets Jamaica's finest cultivar and life-giving herb, the Lambsbread. Open your eyes to the glorious purple and red hues of the Journeyman. Its swirling aromas of blueberry and waffles will overpower the senses and take your mind on an adventure that few have traveled. Fuel up your flavors with the Lemon Puff! This high-flying combination of two loud frost-makers will surely fine space in your medicinal garden. The Lemon Puff borrows the best of both worlds and delivers thick juicy bursts of lemon frost. Mendo Breath F2 is another new marijuana strain created within Gage Green Genetics seed collection. Outstanding genetics meet in this cross - the OGKB, a descendent of the infamous pre-Cookies aka Cherry Pie Kush, and Gage Green's heavy hitting Mendo Breath male. Use the Mindscape to imagine our entire world moving towards a future of healing and helping each other. The use of mind-expanding antioxidants, beneficial cannabinoids and terpenes, may help remove the barriers that keep us from envisioning a better future. Trek into the wilderness of Colombia where the unmistakable landrace sativa grows in all its glory. Those who smoked fine herb from the sixties and seventies will not forget it's soaring rush and signature aromas. Since then, this breed has become a pillar in the cannabis genetics of today. This beautiful hybrid, glistening with silver and purple, shows us the possibilities that life offers. This new rendition of the classic OG Kush sets the bar at ever increasing heights. Using a true breeding OG Kush called the Ocean Beach OG, a perfect match was created with the introduction of our newly selected Grape Stomper OG male. The bursts of orange and citrus fuel bring a new dimension to the Joseph line-up. Expect a completely crystal-coated selection with increased yield and tight calyx formation. Our super potent, elite cut of the Chemdawg was paired with Pepe our beloved G13Skunk father. Look for many wonderful surprises with this F1 cross. The Underdawg cut is called the New York OG and originally called the Original Headband or the Daywrecker cut. She comes from old school Chem 91 and the Massachusetts Super Skunk selections with incredible diesel fuel flavors. The White Funk provides a new perspective on high frost genetics. Combining the White Kush and the Sour Diesel X male, the Gage Green Group introduces new character and potency within the White cannabis family.